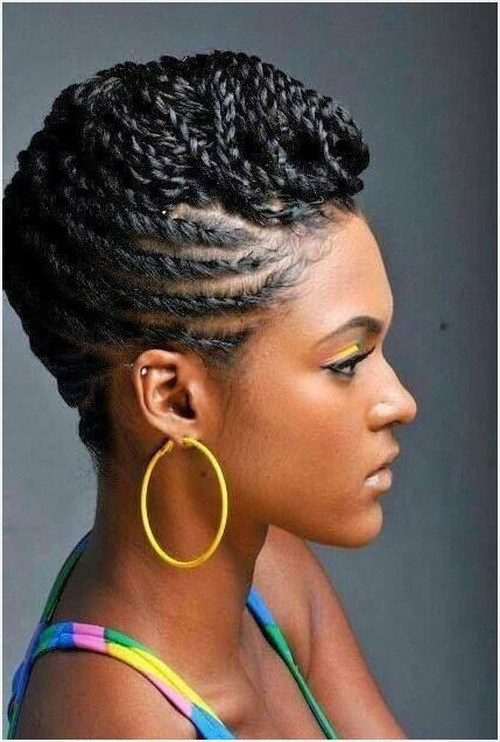 Twist hairstyles for African American women are a great choice to provide gorgeous looks and versatile hair designs. 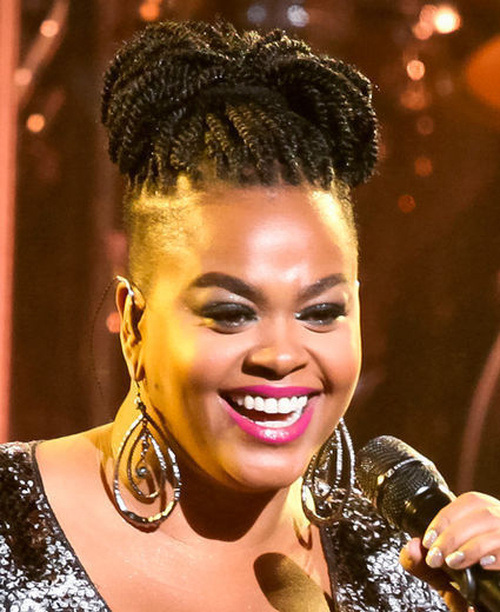 If you appear to get biored of loose natural curly hair, and you are not skilled enoug to make braided hairstyles on you thick black hair, then twists are meant for you. 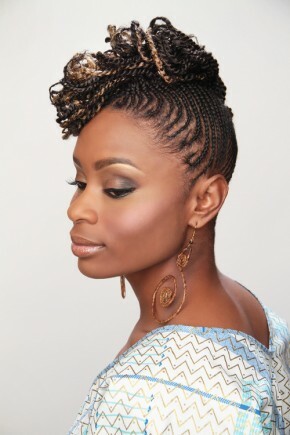 The hair trends 2015 say that twisted hair is a good alternmative to braids and besides twists even have some advanatages. First of all they are easier to design, and you do not need to have perfect styling skills. 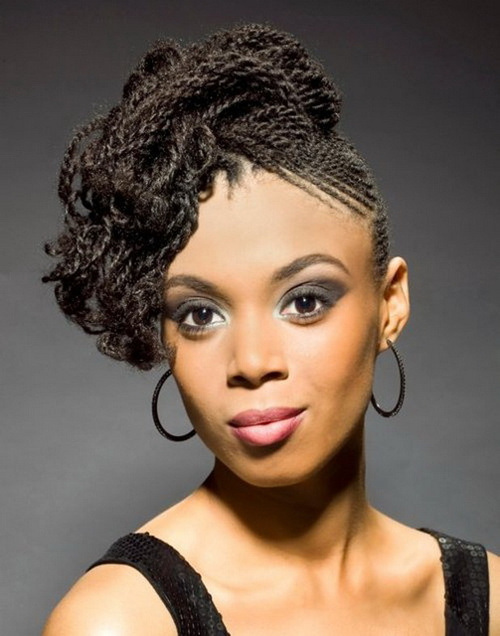 Moreover they are excellent protective hairstyles for natural black hair. And also twists are perfect base for many popular hairstyles both loose and updo. 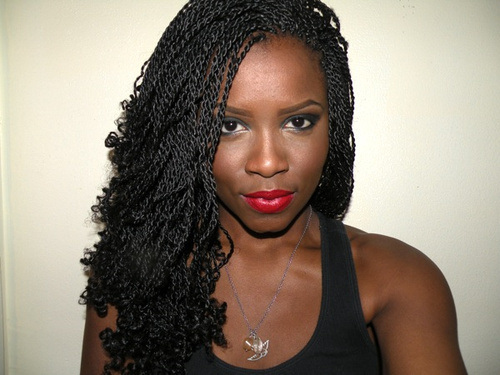 This kind of natural hairstyles for black women are very versatile indeed and of many types: Senegalese twists,Havana and Marley twists. There is a type even that looks like cornrows but is much easier to style. 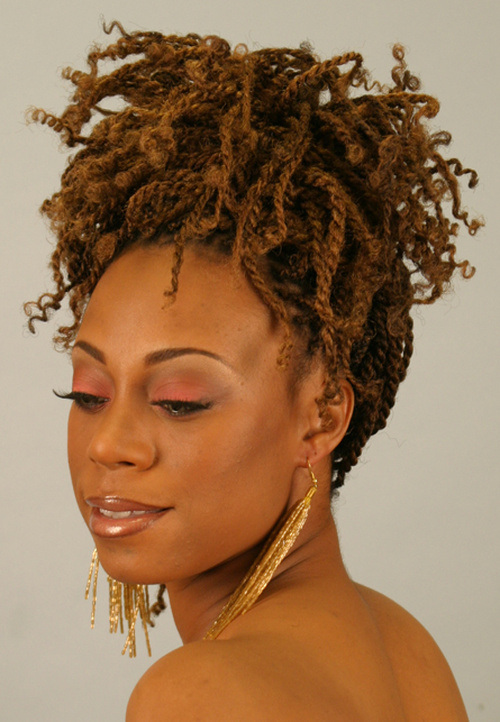 One of the main options for twisted hairstyles as well as braided styles for black women is leaving hair loose. The gorgeous tresses will look fantastic i assure you. Besides, you can make some cute updo hairstyles, like this simple ponytail, that looks very charismatic with twists. For African American women having hairstyles that can be diverse and yet easy to style is extremely important. 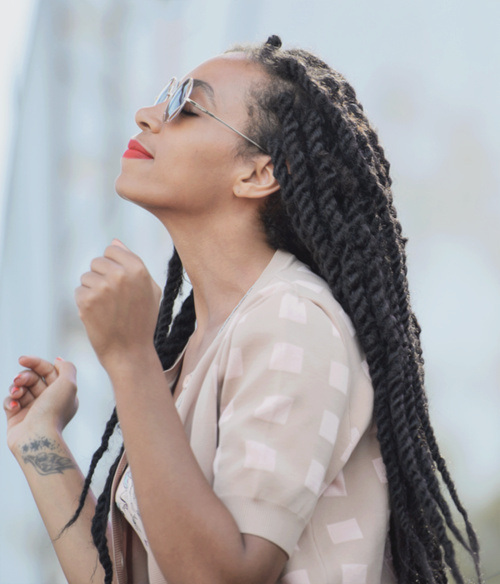 That is why they often choose protective hairstyles like twists and braids, they look extra modern and at the same time after styling once require almost no time for certain time. 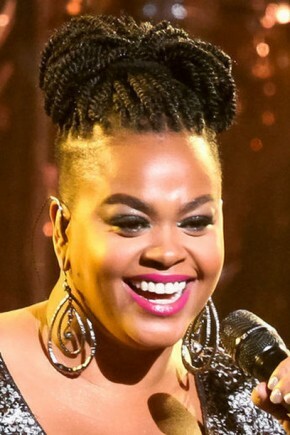 The updo hairstyles on the basis of twist are quite cute. You want to look creative and wear a hairstyle that will turn all eyes on you? Then you are right on the hairstyles pictures that will make you look so! 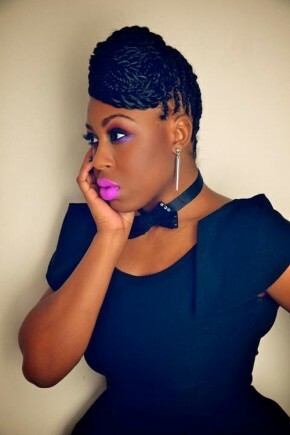 The Mohawk hairstyles created on twists look very stylish and make you unique and individual. So if you got bored of the casual looks, these inventive Mohawks will save you. For soft and fine facial features you can choose very thin and delicate twists that won't look bold and will accentuate your inborn soft lines. The updo hairstyles with such two-strand twists can be polished and neat, and also messy and funny for some casual events. As you can see twists hairstyles are really diverse and this was only a small part of the greatest variety of designs they can offer. 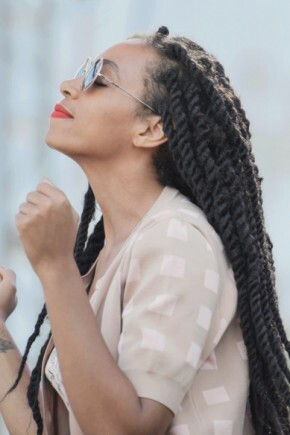 So if you are tired of struggling you natural curly hairstyles each morning, or straightening them each time you need to go out, twists is a worthy option to look smashing and fashionable this spring 2015.